We are an Award-Winning Children's Entertainment Company, and we'd love to be invited to your next special event! "Be our guest" and put our service to the test... Storytelling, Games, Face Painting, Balloon Twisting, Tea Parties... we have it all. 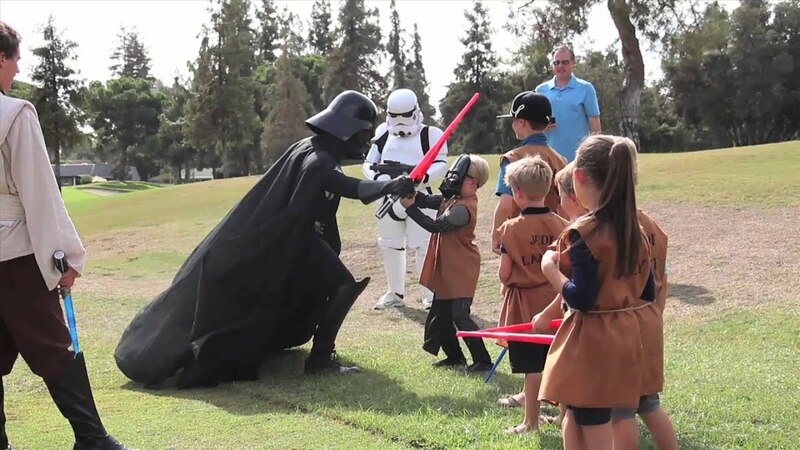 Why are we the #1 Company that parents choose, trust and hire for character events? Check out our reasons! It's always a good idea to check out the company you are going to hire! Research and Reviews will show that we are the BEST at high quality children's entertainment! A wish your heart makes made our company Christmas party a hit! They showed up on time, they took photos and they face painted. We had a huge party but they accommodated the kids and we had a great time. Would definitely use them again! Thank you so much, Jill, for your kind Review! We are SO happy we could make it work for you! Elsa came to my daughter's birthday party and it was a dream come true. She sang with the kids and was very flexible with the little space we could offer her in our house. She was very engaging to all the kids and was just simply wonderful. We loved her and we would definitely look forward to doing business again! Thank you so much for making my daughter's birthday very memorable! Thank you Annie! It was a pleasure to make "A Dream Come True!" That is truly what our company is about! The best character experience since Disneyland! Alice (in Wonderland) came to my daughter's 6th birthday party and she was amazing. From the initial phone call to the party itself, she stayed in character. All of the kids loved her and the performance/activities were awesome! My daughter still talks about it and said Alice coming to her party was the best part. Thank you for making her dreams come true! Thank you for inviting us to bring our "magic and memories" to your daughters birthday celebration! Ariel came to my daughter’s birthday and she was the hit of the party. All the kids were so excited to have a Disney Princess at the party. 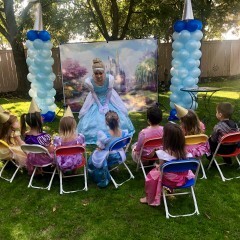 We had a Cinderella themed 4th Birthday party for my granddaughter and this company was great from start to finish! Cinderella couldn’t have been more perfect...all the activities with the kids kept them totally entertained! Loved the “coronation “ with the red carpet, sash & crown - too cute!! My granddaughter was in princess heaven!!! Thank you! Thank you so much Catherine for the kind Review! Our Cinderella LOVED her time with your grand daughter! Our beautiful clown did an exceptional job!! Wish I could have her at every event!!!! Our entertainer was well received. She gave all the children individual attention and they all seemed to really enjoy it. She had a very approachable demeanor which was great for all the children. She had to drive from San Luis Obispo to Buellton and arrived a bit later than originally scheduled. I felt she made the party a success and would be happy to recommend your program in the future. Thank you again for inviting us to your event! Our performer loved every minute! The Moana character was perfect for our themed party. She interacted with the children and was very courteous. This was the BEST party my daughter has ever had! Thank you for making my daughter's 8th birthday party so special, that she will never forget it! I booked this company for a Frozen themed party and since I've never experienced a party like this - it blew me away! My daughter was made to feel SO special and all her friends had a wonderful time! The team and characters were so enthusiastic and eager to please, that it made me feel so good as her parent to have taken the time to contact them - they did the rest! If you are looking for a reputable, dependable and quality company to plan your next party - A Wish Your Heart Makes lives up to its promise! Thank you Maribel for your review! Our Elsa and Anna had a marvelous time! We love to use A Wish Your Heart Makes for events. Kids AND adults love taking pictures with the characters. They are always in character around guests, the costumes are authentic and the staff is a pleasure to work with. You won't be disappointed. Thank you for inviting us again! We love working with you as well! Once again, AWYHM has exceeded our expectations! Parents For Joy had a Minion Movie Night with a face painter and Minion. The face painting was well done and the Minion was high quality!! We did need an attendant for the Minion so it could be directed towards the smaller and quieter children. We now know for next time that we need to hire 1 extra person for bodysuits. EVERYONE enjoyed AWYHM's services. Working with AWYHM has always been easy and professional. The care and service provided for Parents For Joy's events could not be any better!!!!! Thank you Jen for inviting us into your wonderful events! We love "making a positive difference" for the children and your organization! We look forward towards working with you soon again..
Ariel was such a joy to have at our event! On behalf of the Central Coast Aquarium, I would just like to say how easy-going, yet professional, this company is. We had Ariel come paint faces at our beach cleanup festival, and she handled the flurries of children with grace and enthusiasm. I would definitely recommend A Wish Your Heart Makes to any organization/individual hoping to add an exciting children's aspect to their event. Thank you for inviting us to your event Megan again this year.. Ariel fit right into her seaside environment and loved face painting and visiting with the children! We appreciate your wonderful review! A wish your heart makes is amazing! We highly recommend A Wish your Heart Makes. Our daughters 7th Birthday was so Magical. Princess Cinderella, Queen Elsa and Princess Anna looked authentic. The Princesses also entertained the girls engaging them in storytelling and dancing. Our daughter loved having the Princesses they made her feel very special. Definitely a Birthday to Remember. Thank You for inviting us to help celebrate Cambria's special day! It was a delightful event and our pleasure to be a part of it! I’ll start off by saying that I initially booked Queen Elsa and Princess Anna with a different company two months prior to my daughter's birthday party. My daughter’s party was on April 16, 2016 and three days before the party, I was told I would not have an experienced Queen Elsa or Princess Ana for my party. I was very disappointed and upset. I Googled and called several companies looking for characters for my daughter’s party. When I called “A Wish Your Heart Makes” I left a message and Kathee (Owner) returned my call within a couple of hours. I told her I desperately needed a Queen Elsa and a Princess Anna. I also told her my bad experience with another company and she was very understanding of the situation and very professional. She told me she would try her best to find a Queen Elsa and Princess Ana. She was in constant communication with me to let me know of her progress in finding them. Within a day, she called and said she had found my characters and also an Olaf! I ended up booking a Queen Elsa, Princess Anna, and Olaf for 1 ½ hours! Kathee was very diligent in trying to meet my expectations and not leaving me without any characters for our party. Queen Elsa and Princess Ana drove all the way from Santa Maria. I knew that two days before a party was almost impossible but Kathee was amazing in finding them. This company has characters located not only in the central valley but also the central coast. Kathee surpassed my expectations! “A Wish Your Hear Makes” is the company to use for your next party! Queen Elsa and Princess Anna arrived on time, looked just like the character they portrayed, very good with the kids, they danced, sang, and were just really sweet! I would really recommend this company for your next party! Kathee was easy to work with and good on returning calls and making sure that I was satisfied. I will definitely use “A Wish Your Hear Makes” for our next daughter’s party! It was the best experience and they made my daughter’s day the best!! It was such a pleasure working with you and your review is appreciated greatly! I am blessed with such a wonderful team of performers who always go "above and beyond" to bring love and the most magical experience to the children. Thank you again for giving us the opportunity to make your event special. Our characters loved it!! We had Elsa and Anna join us for a special night full of memories for daddies and their princesses. Our "special guests" arrived on time and were absolutely brilliant. 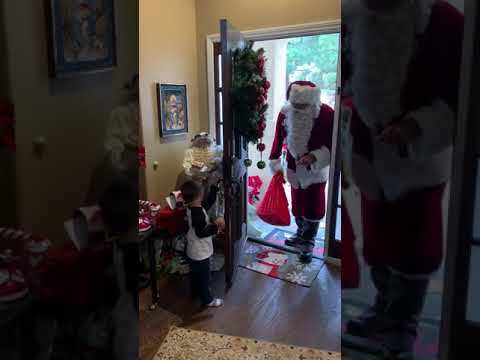 To see the reaction from the little ones was just priceless! Will have to have them back for another event soon! Thank you for inviting us to event. Our characters had a delightful time! AWYHM has been a pleasure to do business with over the past few years. We have used them for multiple public functions and they have exceeded our expectations each time! The characters are in character at all times, are very professional, courteous and prompt. We highly recommend AWYHM for any public or private event. We love working with 'Parents For Joy' and bringing our "Magic" to the children at your events! Thank you for inviting us each year! Thank you Megan! We are glad to have created a magical experience for you little girl! We look forward to working with you in the years to come! Very nice people, easy to work with. We had Elsa and Olaf attend our final day of Frozen and Preschool Princess summer camp at Coastal Dance and Music Academy and all of the kids had such a great time. The characters told the story of Frozen and then took pictures with our students. It is so much fun watching their eyes light up. Thanks A Wish Your Heart Makes! Thank you so much for having us! It is always a "DELIGHT" working with your camps! The Central Coast Aquarium had Ariel out for the major beach clean up in Avila. Ariel arrived in character and stole the show! Ariel was a great addition to our event. She spent the afternoon painting faces and taking photos with the kids. It was a perfect addition to the days activities and we will be booking again in the future! I had a "swimming" good time joining you with all the delightful Sea Explorers, and is looking forward to visiting again very soon! Thank you so much for the experience. All the kids loved spiderman just to see their happy faces and excitement was good enough for me. My son was scared at first but spiderman talked to him and was able to get him to relax and have fun and when he got home from preschool he couldn't stop showing me his spiderman moves and shooting webs. Spiderman was super nice and was able to work with my schedule. I would highly recommend this company to anyone. They are reliable and incredible at what they do. Spiderman interacted with all the kids and took a picture with every single one. He was energetic and very experienced at what he does and working with children. I wasn't sure what to expect but it was beyond what I thought would happen. Everyone had a great time and I can't thank you enough for the great experience. Gibson Elementary School a SUPER Knight to remember! The SUPER Heroes of A Wish Your Heart Makes surprised our students and moms at our 2015 Mother/Son Dance. They were absolutely amazing and out of this world! The kids were so elated and enjoyed snapping lots of selfies and creating dance trains with the more than life SUPER visitors. They truly made our event a Knight to remember, we are forever grateful! Thank you Nicole for inviting A Wish Your Heart Makes to your event, our Super Hero's had a blast! A Wish Your Heart Makes was on time, kind to the children, and the lead singer had a lovely voice. Wow! What a magical experience! We hired A Wish Your Heart Makes characters (Elsa & Olaf) to appear on the final day of our Frozen Winter Camp. The experience from start to finish was wonderful! This company was extremely friendly and professional throughout the whole process, from making the reservations to the visit by the characters. The characters were fantastic! The children thought they were really meeting Elsa and Olaf and had stars in their eyes the entire time. The parents commented that the characters looked straight out of Disneyland (and they did)! They not only looked the parts but Elsa had warm, genuine interaction with the children and Olaf was amazing at communicating without being able to speak. This was a top-notch experience from start to finish and we will definitely be working with them again in the future. A Wish Your Heart Makes once again did an amazing job out here during our "frozen" meet and greet! The way the characters interacted with the kids was wonderful. We enjoy working with this group! Thank you for the opportunity to share the "Magic with these children"
A Wish Your Heart Makes sent Elsa and Anna to Mission Plaza in Downtown SLO to hang out with Santa this December. One of the good fairies from Sleeping Beauty came out too! I was thrilled with how they interacted with the crowd of young families. Lots of photo opportunities made for VERY happy little girls and boys and I saw a few sing alongs happen too. I was very impressed with how mature and enchanting these ladies appeared to be. Thank you AWYHM! It was delightful to see the joy on the children's faces! We had a fundraiser for my child's school with a winter theme. Anna and Elsa were a delightful addition to our evening. The young ladies were professional, and kept in character to the delight of our parents that evening. I would highly recommend A Wish Your Heart Makes as these ladies were a wonderful addition! "A Wish Your Heart Makes is an amazing company! I hired their "Singing Frozen Trio" Anna Elsa and Kristoff, for a recent event and I have to say that I am so proud to have worked with them! They have the most authentic characters, they are timely,reliable,professional and their customer service it top notch! We will definitely be working together in the future!" This was such a fun event. Both Cinderella & Fairy Godmother were great with both the kids & parents and were very flexible & easy to work with. I loved watching the kids faces light up as Cinderella talked to them. We had Miss Brown perform during our Educator Appreciation Reception (B&N Fresno) and she was delightful, engaging and entertaining! 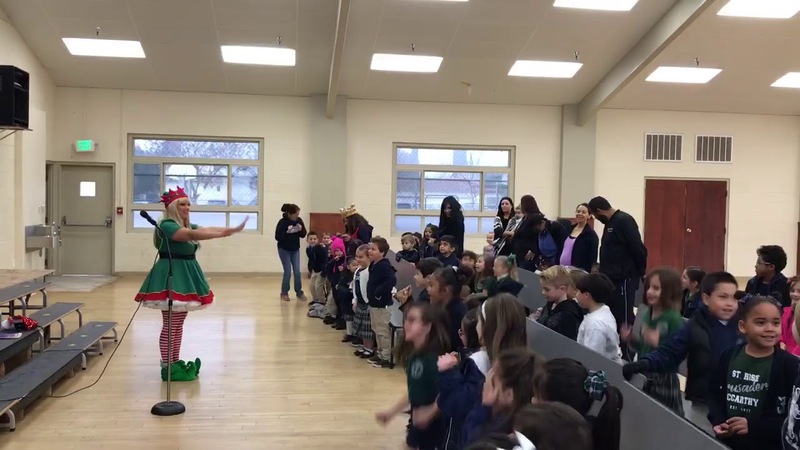 She charmed children, parents and educators alike! Her show contained wonderful songs and a great message on nutrition, aimed at children. We were so pleased to have Miss Brown be a part of our Educator Reception. Learning can be fun - just ask Miss Brown! We have had two events with A Wish Your Heart Makes and both have blown me away. The events have been held in the childcare department at Kennedy Club Fitness. The first event we had Snow White come and do face painting for all the children. Face painting is fun, but getting your face painted by a princess... priceless! After all the children were painted Snow White played with the children. One child offered her an apple and she quickly responded, "Oh, I haven't had very good luck with apples." Snow White then proceeded to tell a little more about her story and the children were enthralled. I was so impressed at how Snow White never broke character. Our second event was a story time and music event with Anna, Elsa and Rapunzel. We loved it! Elsa told the Frozen story and then after the princesses guided the children through movement to Disney music. All the children followed along. There was even a little boy and girl who continued to ball room dance together on their own accord. It was truly a special moment. The music continued and the princesses played with the children and took pictures with them. We love A Wish Your Heart Makes. We already have another event booked with them and I'm confident that it will be a great success. Thank you AWYHM for bringing the magic into our club! I had a birthday party for my 5 yr. old daughter at a park on 3/30/14. This was the first time I had hired entertainment for her birthday. I booked the “Royal Majesty Party” package and to say the least was not disappointed. We invited her entire preschool class (20 friends) and family/friends. We had Rapunzel and Spiderman. They both stayed in character the entire time even with 18+ kids screaming at them trying to get their attention. They were patient and the smiles the whole time! We selected (for our two activities) games with prizes and balloon animals. We also had a tea party and the girls loved it!! During this time the boys were entertained with a Spiderman/Tug-a-war. Our party was at the park which was great as it allowed lots of room for the activities to play out. Only hiccup was, Rapunzel and Spiderman looked and played the part so well, we had other children from the parties at ours! I couldn’t blame them. Who could pass up the opportunity to meet Rapunzel and Spiderman?? We had parents from other parties come to ours to get the information/business card. Their costumes were awesome and again, they stayed in character through it all!! I don’t know how they did it. Spiderman even got in the bounce house with the children and still stayed in character!! They also able to answer all questions thrown at them by children about their character. I was HIGHLY satisfied with Rapunzel and Spiderman’s performance. In regards to the communication before the party, I was highly impressed on how quickly Kathee responded both by email and phone. She responded quickly every time I made contact and answered all 100 of my questions. My husband didn’t see the need book one let alone two characters for the party as in his time cake an ice cream was enough. After the party, he stated he was glad I didn’t listen to him. I can’t wait to her next birthday party to see who get to invite! Thank you to all at A Wish Your Heart Makes for making my daughter’s birthday the best ever!!!! Thank you Christine for your review! We want each and every event to be a magical experience for everyone taking time to pay attention to all of the details. We are blessed to have a team of performers that truly care about the children but also work very hard to bring their character to life in every way. 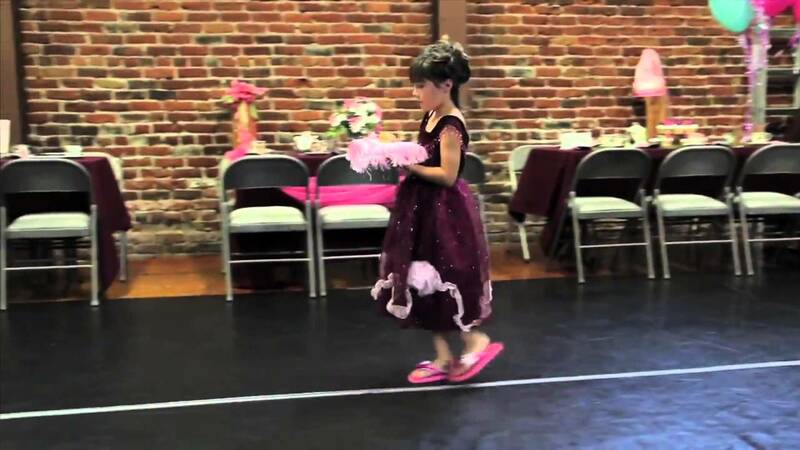 We appreciate that you chose 'A Wish Your Heart Makes' for your daughters special day! Truly a childs fantasy come true! Stupendous company! They volunteered for Princess and Pirate Day in Storyland. All of the character were positively delightful with the children. I look forward to having out at our park for your birthday parties! Thank you so very much Brenda for inviting us to the Storyland Playland "Princess and Pirate" event! We had such an adventurous day with all who attended! We used A Wish Your Heart Makes for our non profit event and they did an amazing job. The owner and characters went above and beyond to make our event a success. The characters really got involved with the kids and we are thankful for a great day! Thanks again! Perfect, Even for large groups!!! We hired A Wish Your Heart Makes for our annual Company Picnic in September 2013. All of our employees were very impressed with the professionalism of each character. They were all extremely patient with the kids, and a pleasure to be around. Each Character stayed in character the entire time. We had Rapunzel, Tinkerbell, Snow White, Alice in Wonderland, and a Pirate. The Pirate was extremely good playing games with all of the children. All the Princesses did a great job with face painting and crafts. The characters even interacted and helped with our annual company tug-of-war game. Overall just a wonderful experience. This event was one of our many highlights for 2013!! Looking forward to being invited to bring another adventure again! Thank you! Cinderella Is A True Princess! 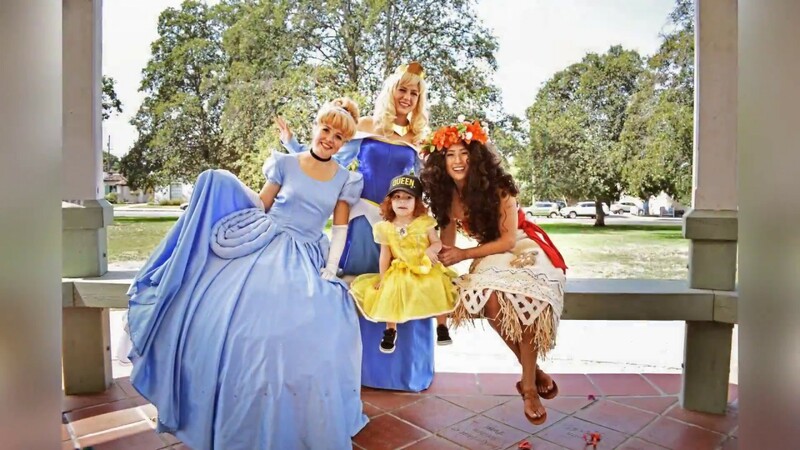 We had the pleasure of having Cinderella, as our Princess, at our Annual Corporate Picnic. We specialize in Supportive Services for Autistic Adults. Cinerella was a "Big Hit!" I found our CEO, sitting down with the children, enjoying a story as well as getting her face painted! I asked her a later on, "Did you enjoy Cinderella?" and she responed, "Yes I Did!" Cinderella was able to withstand the change in weather, that we experenced, when it began to rain, unexpectedly! Cinderella, remained "Graceful and Focused!" Cinderella, made our event a "Magical Experience!" I would highly recommed all of the Princesses at" A Wish Your Heart Makes! It was such a pleasure for A Wish Your Heart Makes to be invited to your event! Cinderella had a simply magical afternoon!! I would highly recommend, A wish your heart makes without reservation for a child's party. I recently hosted my daughters third birthday party there were girls from age three through thirteen in attendance and all enjoyed this magical experience equally! Even the adults enjoyed themselves! The prompt and highest level of professional was my experience from the initial call I made through services rendered! What a great find this company is! Thank you so much for inviting us to be a part of your event! Kathy Brown and her array of princesses are amazing! I have been to several princess parties from this company and have been satisfied each time. We had Ariel and Jasmine come to my daughter Gemma"s 4th birthday party. It was so magical to see all the little girls faces. It was like they were in Disneyland. I will always refer this company because it is like the real thing! Oh Christa--Thank You so much! We loved bieng at Gemma's party, spending time with her and her friends--it was a delight!! 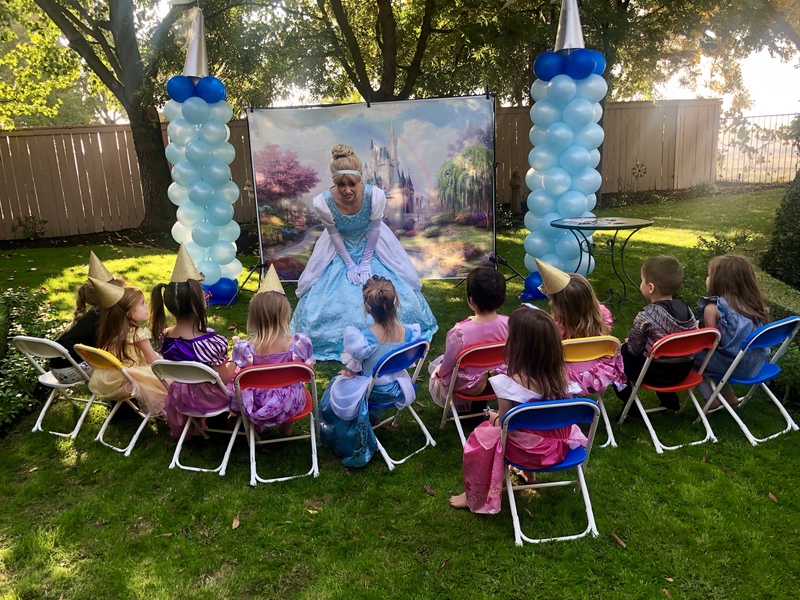 Kathee and her talented staff entertained and captivated seven beautiful princesses, ages 5-8, during a Birthday Party turned Princess Charm School. The princesses-to-be truly felt special as they were pampered with up-dos and tiaras, an etiquette and poise lesson prior to their Princess coronation. Their enchanted afternoon included a very special and magical tea party, ending with the birthday princess opening her gifts. ~ On one very special day, the awe and whimsy of seven small princesses was forever captured in pictures and video. Memories to treasure and relive as we watch our little princess grow up all too quickly. It was such a delight to be a part of Constance's special day and meet all of her sweet friends! Thank you for inviting us! I have had the opportunity to both partner and party with A Wish Your Heart Makes! They are active supporters of the community donating their time to enchant children at the CKidz Community Center, Visalia Rescue Mission, and much more. At my children's party, the girls actually believed Disney Princesses had arrived at our home. Adorable!!! Community Center and the Visalia Rescue Mission and of course your children's birthday parties as well! These guys don't mess around! What a pleasure it is to work alongside this company. I've designed a good chunk of the costumes and I can be proud of the way they're presented. Performers undergo extensive training for all the parties, public events, plays, and parades that they do and I'm always in awe of how clever the performances are. Kathee is quite the visionary! We LOVE working with you too Liz!! I had disney princess characters for my daughter's birthdays last few years. Each time it has been a fun and wonderful experience. My daughter and guests( both adults & kids) have a great time. It has been our pleasure to be invited to your daughters celebrations each year Nathalie! We appreciate your loyalty and look forward to bieng invited again to her next birthday event! The past five years have been amazing! Both my son's have had characters from A Wish Your Heart Makes attend their parties. We've had Disney, Superheroes, and Pirates to name a few. I have also had characters visit their school during a special occasion like Valentine's. The characters bring to life what a child believes in. I wish I were a kid again! Instead, I can act like a kid at my son's events. I enjoy the entertainment as much as the kid's. The characters are fun to interact with. Our guests are always waiting to see what character(s) we will have at the next party. Our parties are always being talked about. We have made it memorable for the kids as well as for the adults. AWYHM a first class children’s entertainment company was established in 2007. From professionally designed gowns, to the "ultimate enchanting experience," our team of experts understand the importance of every detail! With our "Love" for fairytales we invite you to host a priceless memory event with our characters. Stepping right out of a story book, our beloved princesses will delight the children with sing-alongs, dancing, storytelling, whimsical tea parties, proper princess etiquette lessons, mini-makeovers, or manicures and a "Royal" coronation ceremony! We also offer musical puppet shows! Our energetic Super Heroes, Ninja Turtles, Pirates & Jedis provide an awesome adventure with games, face painting, balloon sculpturing and more! Catering to birthdays, weddings, baby showers, school or family celebrations, we look forward to serving you and bringing our "Joy, Laughter and Magic" to your next event! With an understanding of importance to detail and careful casting, we have implemented the Disney Institute Training, received from "Disney's approach to business excellence". Our enchanting experience offers a variety of entertainment starting with 15 minute "Wish-A-Grams" which can include a sweet treat delivery or singing gram. We personalize your Party! (Packages and pricing depends on length of time and number of characters attending your event). We have a heart for education and believe that children are the seeds to grow a "field of dreams". "A Wish Your Heart Makes" is home to child educator and performer "Miss Brown" who has performed Musical Educational shows for "Hands on California", "Whole Foods", "Tulare County Office of Education" and "First Five" to name a few. She has inspired playfulness and creativity in our performers.